Explore randomly-generated worlds and build amazing things from the simplest of homes to the grandest of castles. Play in Creative Mode with unlimited resources or mine deep into the world in survival mode, crafting weapons and armour to fend off the dangerous mobs. Craft, create, and explore alone, or with up to four players in split-screen and up to eight online. To experience split-screen functionality a high-definition television is required. Despite my adoration of the game, I ended up being frustrated at just about every aspect of the Wii U Edition. This is the epitome of a wasted-opportunity, bare-bones port. It's great that the game is coming to yet another audience, but this is hardly worth the investment for someone who already has the opportunity to play Minecraft elsewhere. That being said, there's little here to justify a double dip; world size aside, it's pretty much the same experience you'll find elsewhere. 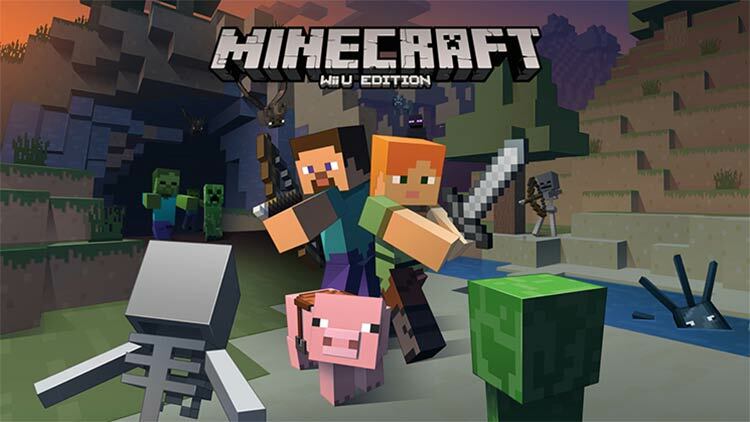 We'd definitely recommend Minecraft: Wii U Edition on its own merits, but if you've already bought it or played it on another platform think carefully before you buy it again. It may take a few hours to really understand what you’re trying to do, but when you exit a cavern at sunrise next to a river and feel like you’re truly inhabiting this world that is custom built just for you… there’s really nothing else like it in gaming. It’s not for everyone, but if it’s for you, it’s a gaming experience you won’t likely forget. Even though it’s great that the game is identical to all of the other versions, it still could have been so much better if they actually went ahead and used the console’s unique features. With that said, if you don’t already have Minecraft, it’s really up to you to decide if you want to shoot for the Wii U Edition or not. 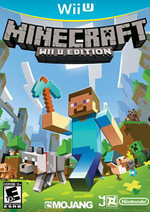 Minecraft: Wii U Edition es una versión muy digna, que funciona genial y sigue ofreciendo la experiencia de Minecraft prácticamente intacta. 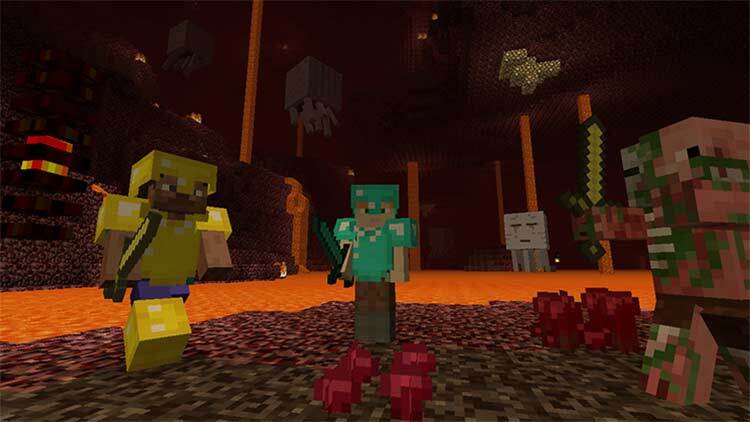 Minecraft es una de esas experiencias que amas u odias, y si la amas, en Wii U sigue siendo tan divertida, completa y profunda como en cualquier otra plataformas. Calcada al título publicado en el resto de consolas, y con la promesa de ofrecer contenidos exclusivos inspirados en los clásicos de la Gran N, el juego de Mojang mantiene intacta su enorme calidad, pero es inevitable no pensar que ha perdido una oportunidad de oro para dar un nuevo paso adelante. Una pena. 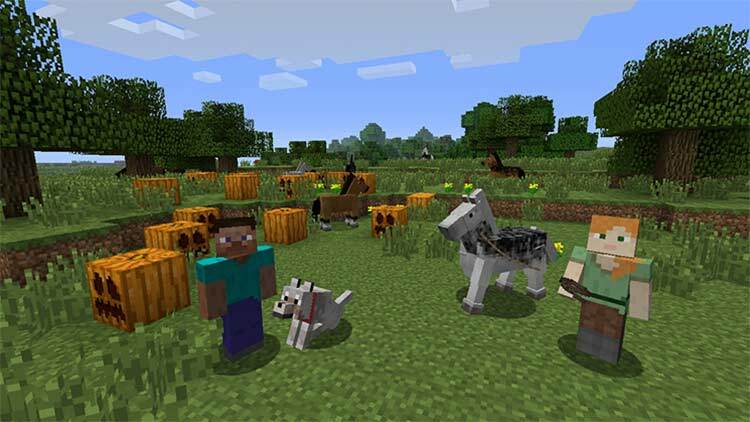 Por tanto, como os venimos diciendo, Minecraft: Wii U Edition es un port de las versiones de sobremesa, pero que no ha sacado todo el potencial a la plataforma de Nintendo y su GamePad, que podía haber hecho funciones de inventario, mesa de construcción para el crafteo… Pero, a pesar de sus carencias, sigue siendo un juego infinito y muy divertido cuyos límites están en nuestra imaginación. 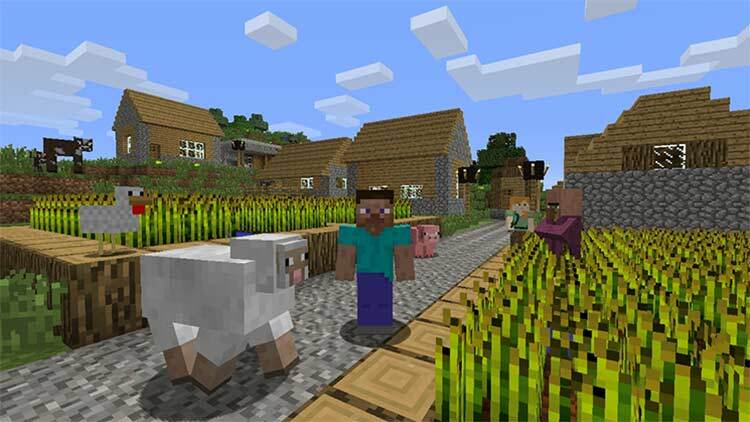 Minecraft Wii U: Edition é um título com um potencial quase ilimitado. Esta versão é lançada na Wii U como uma conversão que não aproveita as vantagens da consola e do GamePad, acrescentando o facto de ser inferior quando comparada com as versões das consolas da mesma geração. Contudo, é uma proposta interessante que de certo agradará os fãs do género sandbox, pois encontrarão um jogo infinito onde apenas a imaginação é o limite. 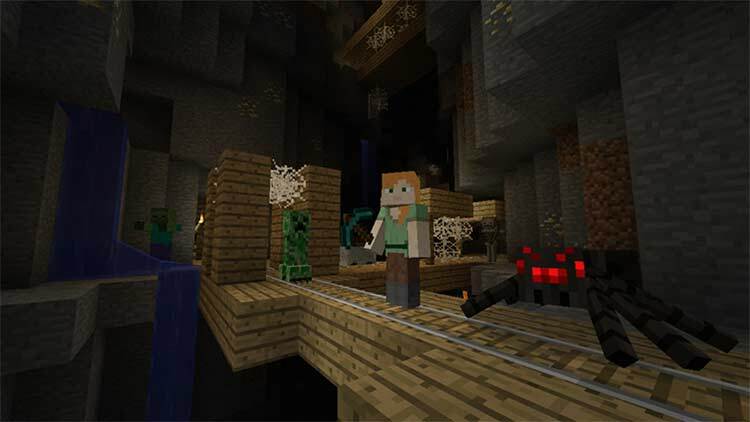 Insomma, il solito Minecraft che tutti i fan conoscono e apprezzano e quindi forse adatto solo ai giocatori possessori di Wii U che ancora non hanno avuto la possibilità, per un motivo o per un altro, di metterci sopra le mani. In generale, si tratta di una conversione riuscita del celebre gioco creato da Markus Persson che, però, a nostro avviso ha un'ulteriore pecca nel prezzo: 29,99 euro (oltre 10 euro in più delle altre console) è davvero troppo per un titolo che arriva in ritardo rispetto agli altri supporti e che non aggiunge pressoché nulla di nuovo, anzi, sembra perdere qualcosa. Rimane, tuttavia, un acquisto d'obbligo per chiunque non lo abbia mai giocato su nessuna piattaforma e abbia a disposizione solo la Wii U.